NOW IN THE SECOND EDITION! GET YOUR COPY TODAY! READ WHAT THE PRESS HAS TO SAY AND READERS TOO! 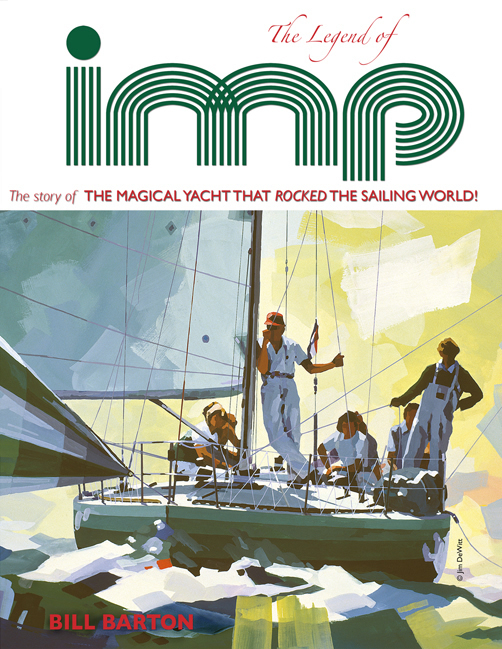 The Legend of imp captures how her crew met, came together as a team, her roots and links into yacht racing history and San Francisco Bay racing history during one of the most exciting eras to be involved in offshore racing. The 40-foot boat designed by Kiwi Ron Holland for David Allen of Belvedere, California took the yacht-racing world by storm from her launch in January 1977. She has had a magical life through seven different owners over a 33-year life span and is still winning races today. She spawned a large family of clones and pseudo clones, all seeking a piece of her magic. None could recapture it. Read what the critics had to say! "Part-memoir part-biography ... one of the most successful yachts in sailing history!" "I followed imp as a journalist... a boat and crew that were larger than life! Now we all get to go on the wild ride!" Re-live the adventure ... ORDER YOUR COPY TODAY!